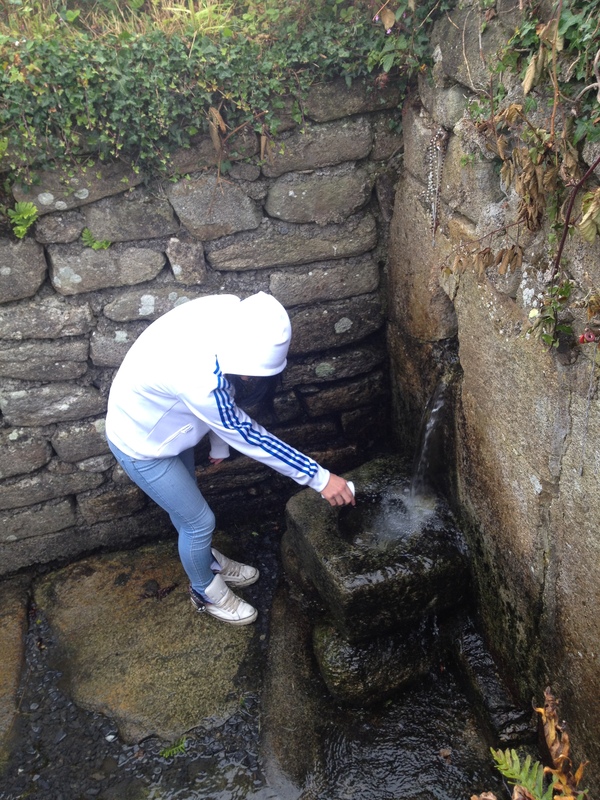 The village of Modeligo has one of the nicest holy wells, it is a real gem. The well like the parish church is dedicated to the Blessed Virgin and local people still gather here on the 15th of August the Feast of the Assumption, to say the rosary. The Ordnance Survey maps record the well as Lady well, while Forsayeth in 1911 says the well was known as Tobar Beannuighthe. 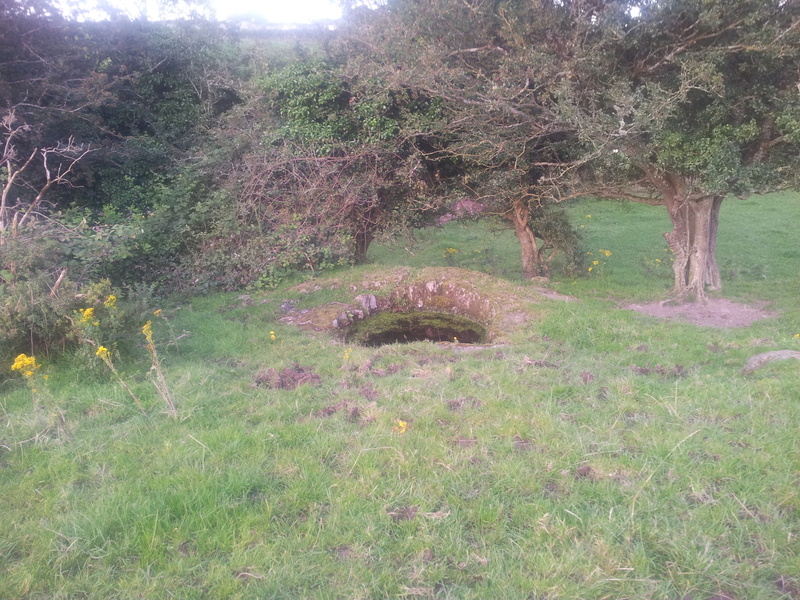 Beary also writing in 1911 notes that local people referred to the well as Tobar Mhuire or Mary’s well. Today local people just call it the Holy well. I first heard about this well from a friend Gillian McCarthy who happens to be from Modeligo and for the last two years I have been trying to visit. 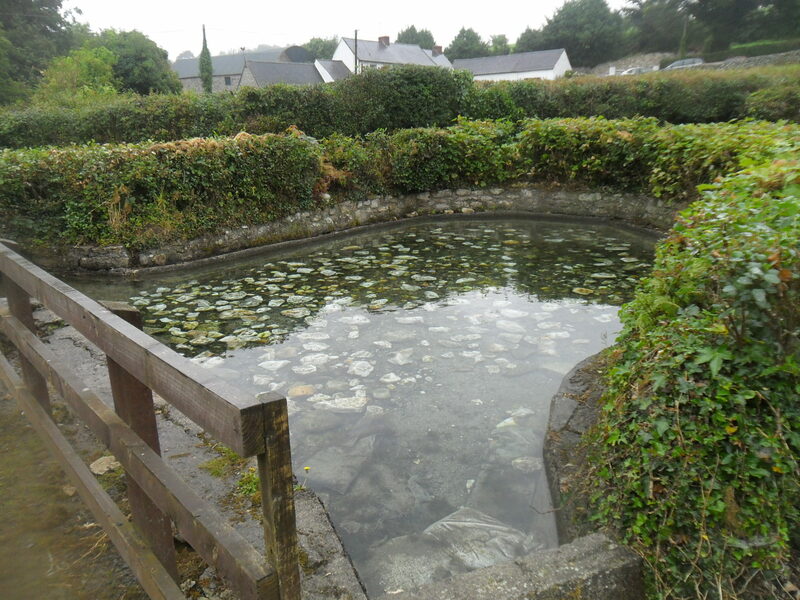 Finally in August 2012, I was able to visit and Gillian kindly gave my mum and I a guided tour of the village and the well, which is located in the townland of Knockgarraun a short distance from the local community centre, in farmland own by Gillian’s father Roger. ‘used to take place here in olden times. People may still be seen to congregate on the aforesaid date, and they invariably hang mementoes, the shape of rags and other objects on the ancient hawthorn that grows beside the well’ (Fortheysth 1911, 187). 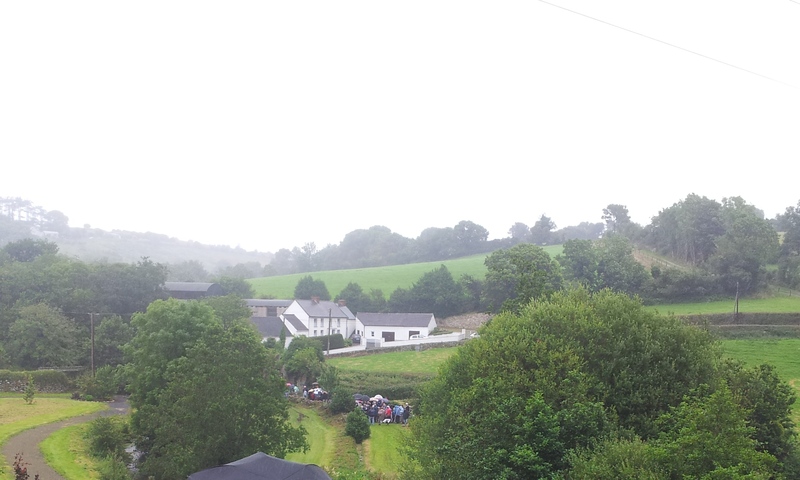 This year mass was to be said for the first time at the well but it was cancelled like many other events this summer due to the torrential rain and wind. To get to the well you have to park at the community centre and walk down a long grassy boreen which leads into farmland. The well is located on steep slope on a rock outcrop that overlooks the Finisk River. The well is a roughly circular hollow in the rock outcrop, the result of natural erosion by rainwater. The water within the well is a result of the hollow filling with rain water. 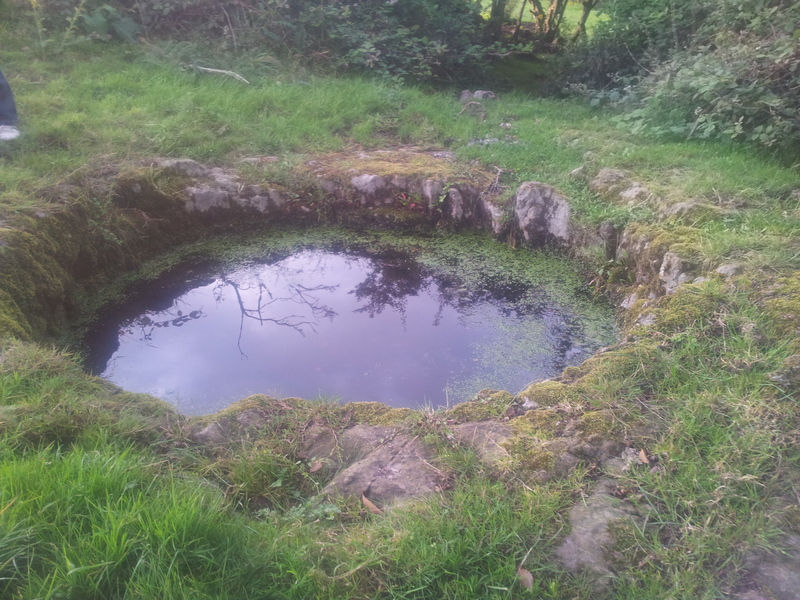 Coming up to 15th of August a member of the McCarthy family will clean out the well getting rid of any algae growing in the water. Forsayeth (1911, 186) noted that when the well was emptied a cross carved into the base was visible and Gillian confirms seeing this. The hawthorn tree mentioned above still grows beside the well and Gillian’s father Roger, told me that rags and rosary beads were tied to the tree up to the 1960’s but the tradition has died out now. Image of the Holy Well in 1911 ( Forsayeth 1911, 186). 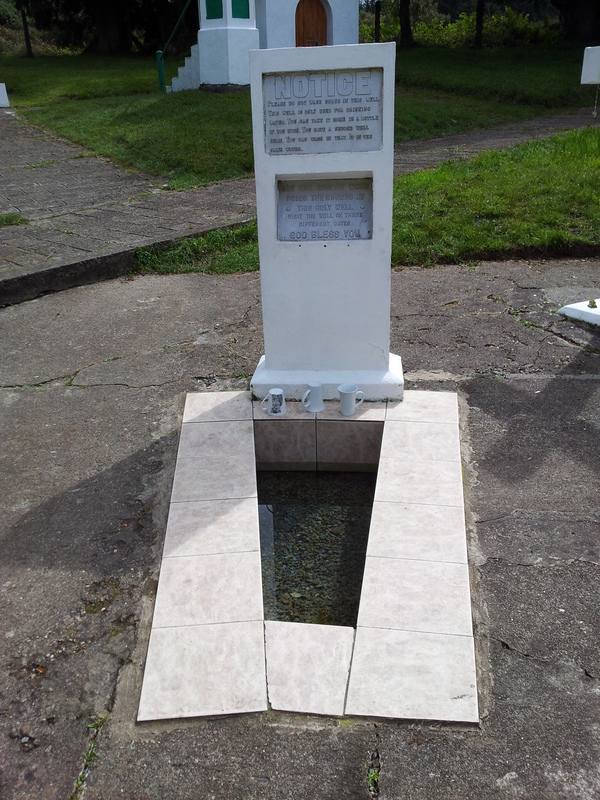 Little is known about the well prior to the early twentieth century, Lewis writing in 1837 about the parish noted ‘There is a vitriolic spring in the parish the water of which is clear and sharp’. The tradition of going to the Trinity well has died out in the area and I only came aware of the wells existence following my visit so I wasn’t able to seek it out. Another very interesting fact about Lady well is that according to folklore from the 19th century this well has moved its location in the past. It was originally in the townland of Scart on the land of a Mr Healy and was resorted to for a cure for bad eyes and blindness. ‘….Mr. Healy used to hear all the people that was cured at this well talking about the well. So he told his steward to take a blind horse he had to the well. But the steward wouldn’t take the horse, so he had to take him himself to the well. So the horse got his sight back there and then, and Mr. Healy, who had the impudence to take a dumb animal to the well, was struck blind himself, and the well disappeared. 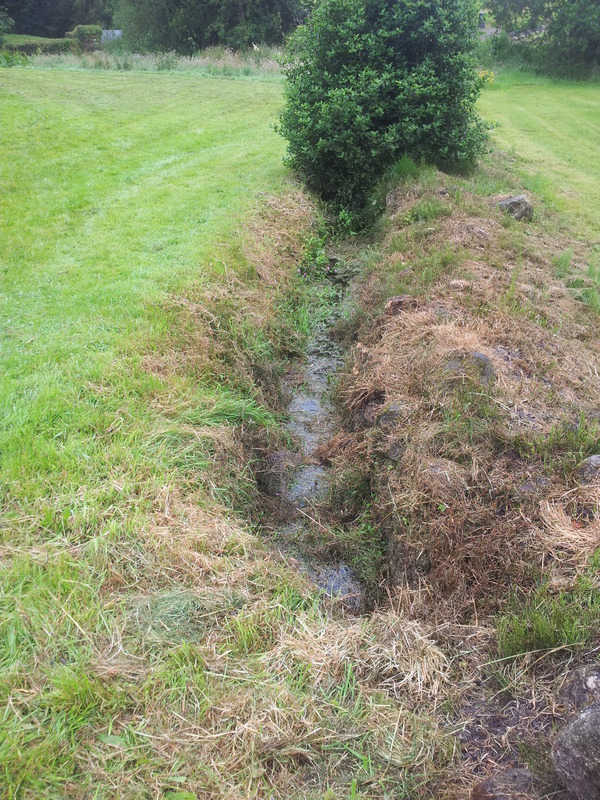 So there was no trace of the well to be found where it was. But after some days the well was found where it is at present, up a boreen under the chapel of Modelligo’ (Ussher 1914, 120). There is another tradition which states that it was a one Cromwell’s men who led his blind horse to the well in mockery and to test out the healing waters of the well, the horse was cured the solider stuck blind and the well up and moved to Modelligo (Forsayeth 1911, 187). Beary, M, 1911. 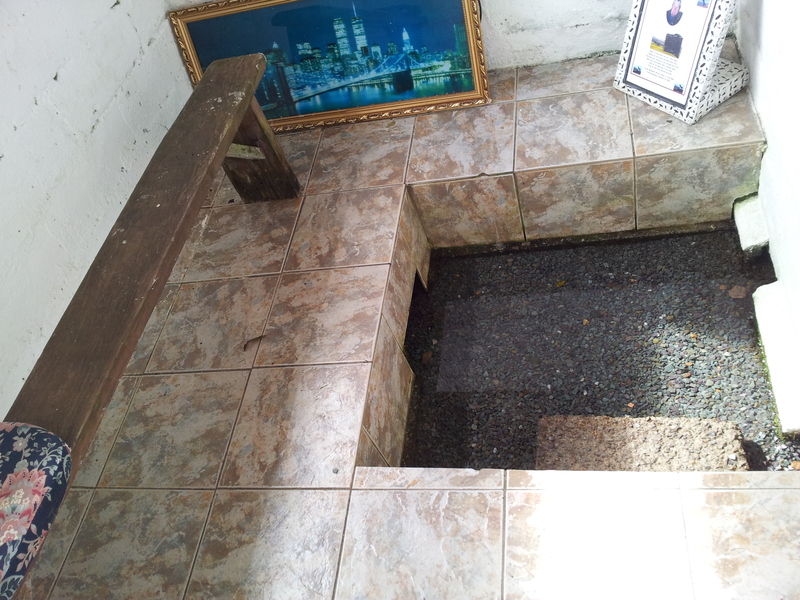 ‘Holy Well at Modeligo’JRSAI Ser. 6, Vol. I, 393-394. Forsayeth, G. 1911. 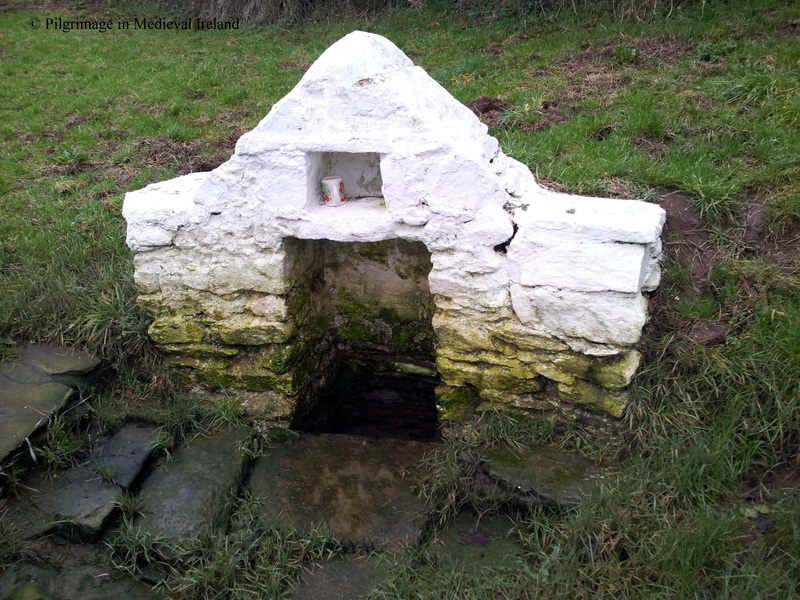 ‘Holy well near Modeligo, Co. Waterford.’ JRSAI Ser. 6, Vol. I, 186-187. Lewis, S. A. 1837. A topographical dictionary of Ireland. Thereof. Dublin: Printed by A. Reilly. Usher, E. 1914. ‘Waterford Folklore 1’, Vol. 25, No. 1 (Mar. 31, 1914), 109-121. Scattery Island. A place of prayer, battle and beauty! I am delighted to introduce my first guest post written by Maggie McNamara . Maggie is an archaeologist based in Co Clare who has a great interest in archaeology and history of Scattery Island also known as Inis Cathaigh. 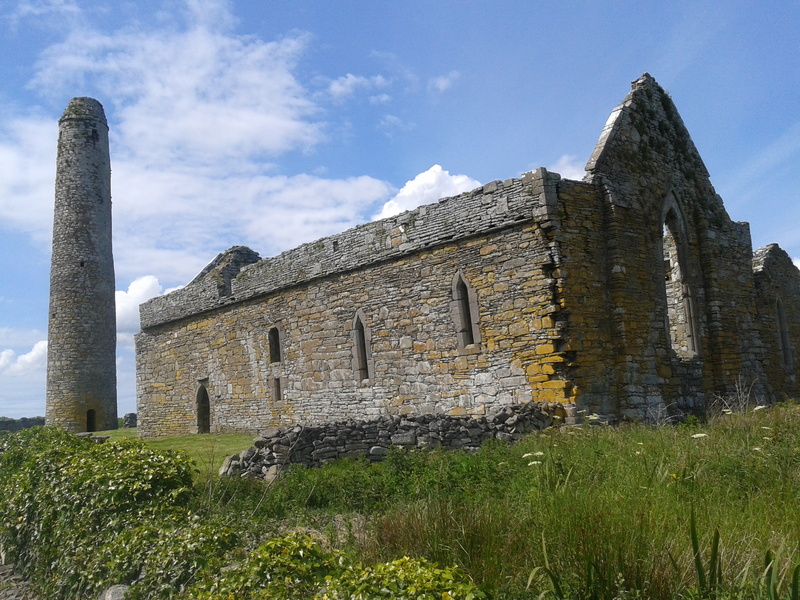 Scattery Island (Inis Cathaigh), a beautiful historic island located in the mouth of the Shannon estuary, off the coast of Kilrush Co. Clare, is home to a monastery founded by St. Senan in the early 6th century. 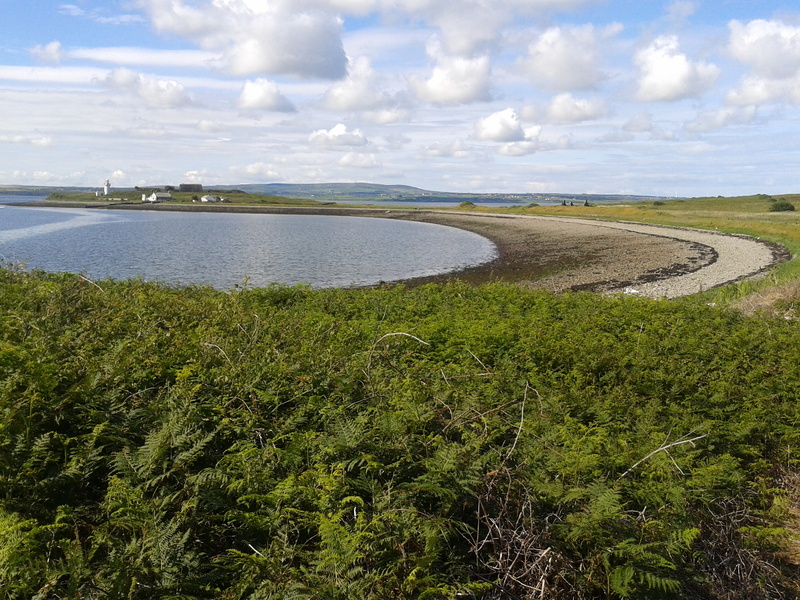 Legend tells us that Senan was placed on the island by an angel where he had to defeat a terrifying monster called Cathach hence the name Inis Cathaigh. The island contains evidence of intensive religious activity represented by the ruins of 6 churches, a round tower and holy well. It is said that there were 7 churches here at one stage if not more. 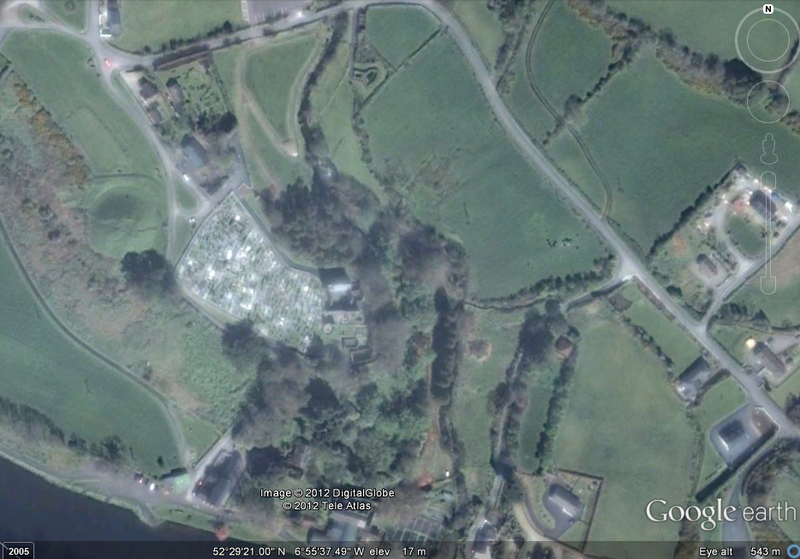 An important religious settlement and place of learning in medieval times, administering to a diocese in the 12th century, associated with monastic possessions such as the Golden Bell (7th-8th century) and Bell Shrine (12th century) and a strong cult of Senan which survives to the present day. The saint is also said to have founded monastic cells in Brittany, Wales and Cornwall as well as at other Irish sites in Enniscorthy and Cork and on Mutton and Canon Islands in Co. Clare. Connections with other monastic foundations are known, most notably Clonmacnoise. The church ruins date to between the 7th and 15th centuries and display much fine stonework and a number of carved faces including representations of a bishop and kings. The round tower dates to the 10th century and is unusual in that it is one of only two in the country with its door at ground level. There is also a 10th century cross slab containing the inscription ‘A prayer for moinach, tutor of mogroin’ and an undated ogham stone. 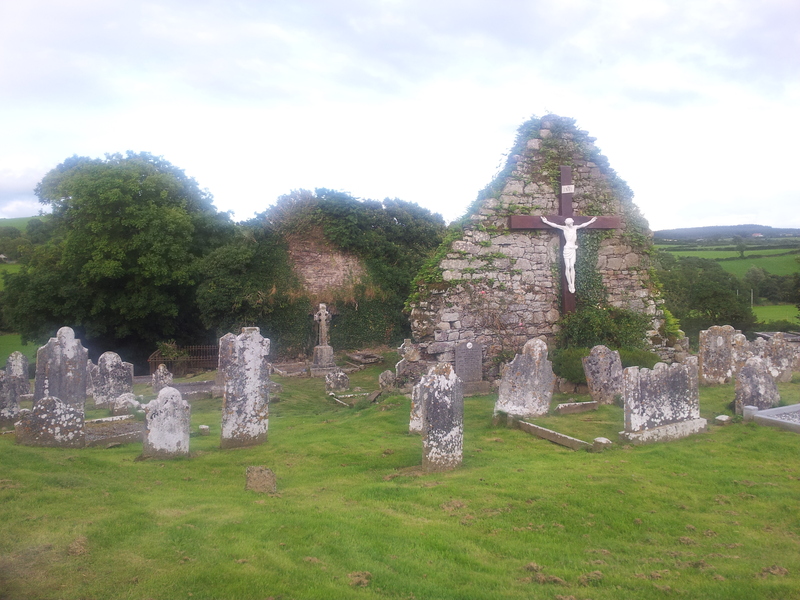 St. Senan is said to have died here in 544 on March 8th. In post medieval times pilgrimage took place here on Easter Monday and the 8th March, the saint’s feast day. 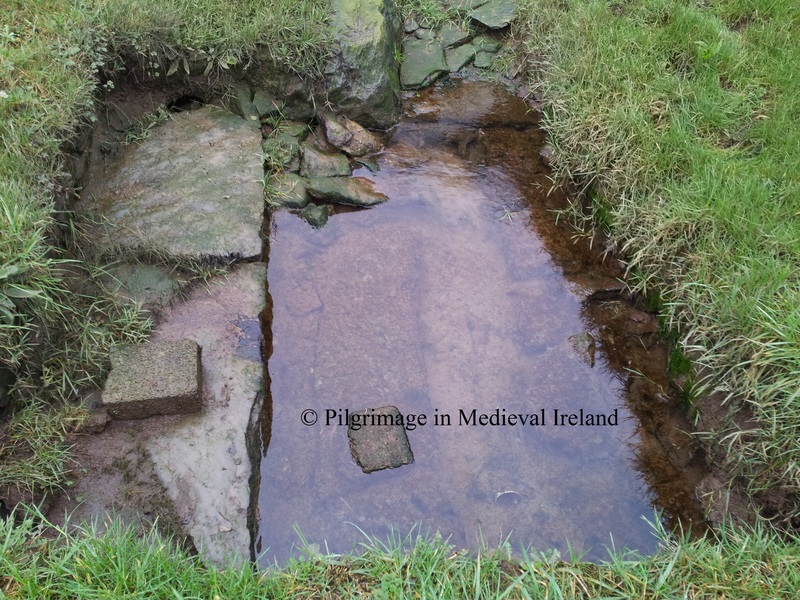 Although there are no direct references to pilgrimage in medieval times, the modern pilgrimage is very likely to be a continuation of a medieval tradition. 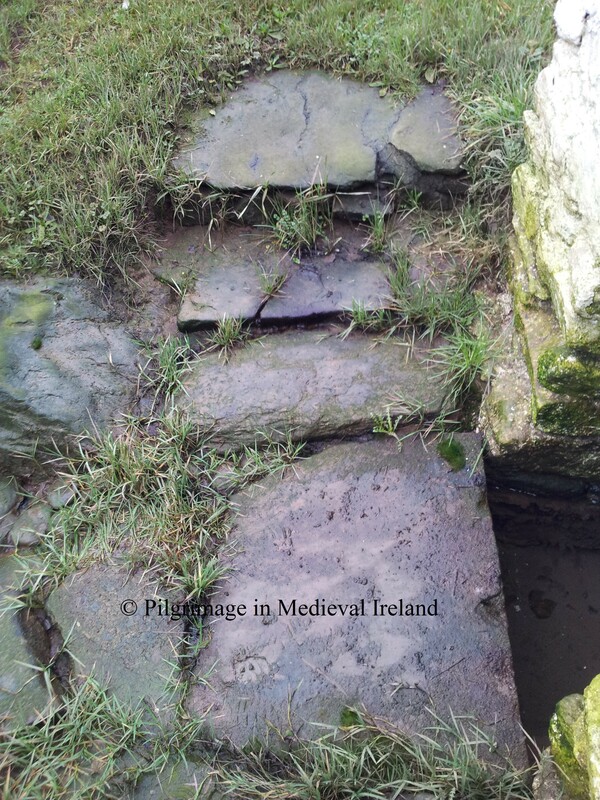 Stones from St. Senan’s Bed were regarded as relics and a protection against diseases and especially drowning. The island has seen much turmoil over the centuries having been raided numerous times by the Vikings, Irish and Anglo Normans. The Vikings had a stronghold here in the mid 10th century. 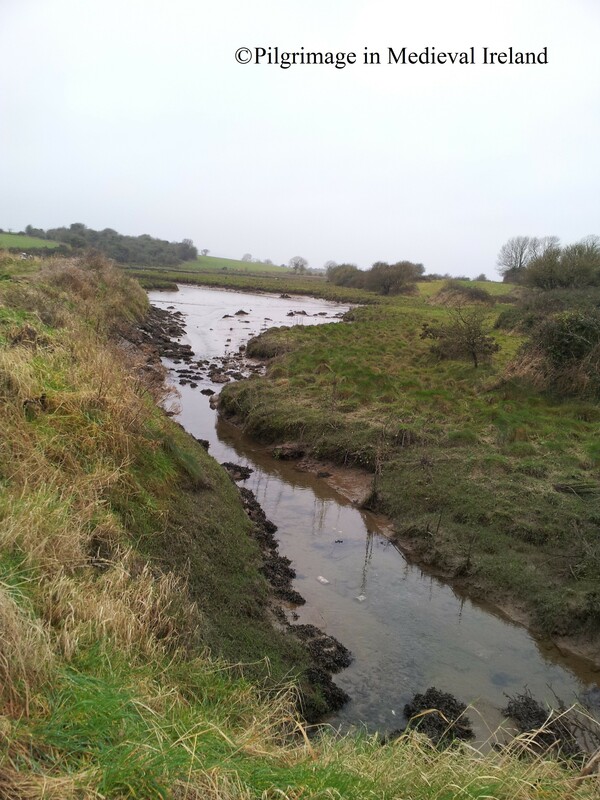 Other features on the island include a late 16th century tower house, 19th century battery and lighthouse and a 19th-20th century village, home to river pilots and fisher-farmers up to the late 1970’s. A place of prayer, battle and beauty! Hedderman, Fr. 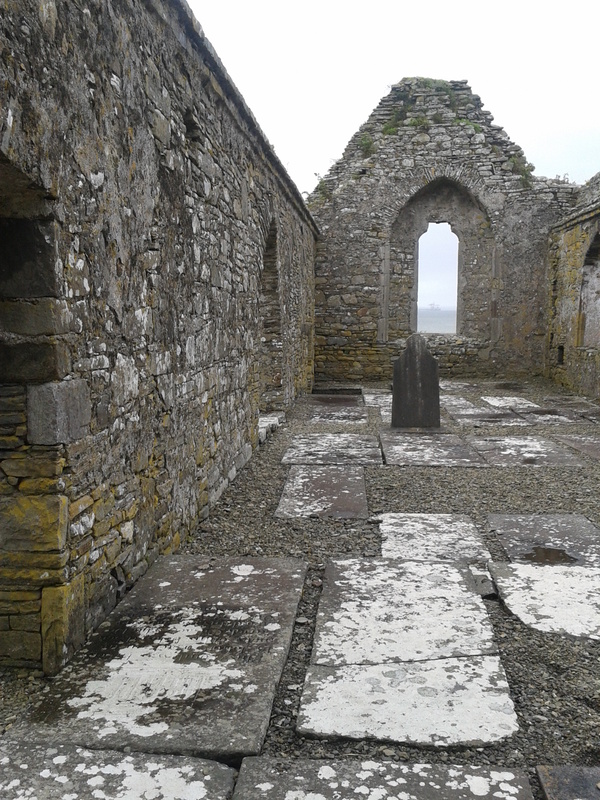 S. Life of St Senan, Bishop, Patron Saint of West Clare [on line] http://www.clarelibrary.ie/eolas/coclare/people/chapter8.htm [accessed 4/08/2012]. Westropp, T. J. 1905. ‘Iniscatha (1188-1420)’ in Journal of the Royal Society of Antiquaries of Ireland, vol xxxv . Westropp, T. J. 1897. ‘Descriptive sketch of places visited: Scattery Island and Canons’ Island, Co. Clare in Journal of the Royal Society of Antiquaries of Ireland, vol. xxvii . Westropp, T. J. 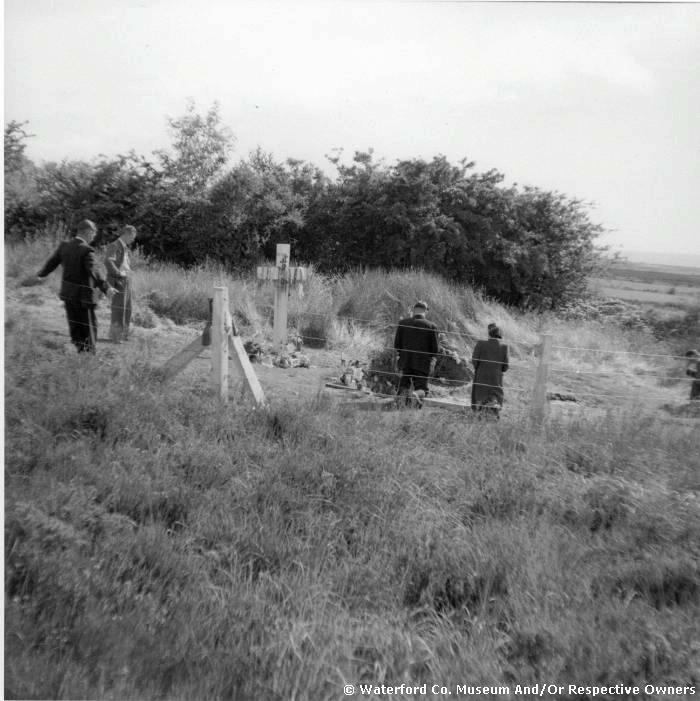 1915, ‘Ancient remains on the west coast of Co. Clare: St Senan’s bell shrine’ in Journal of the North Munster Archaeological Society, vol.iii, no. 4 . 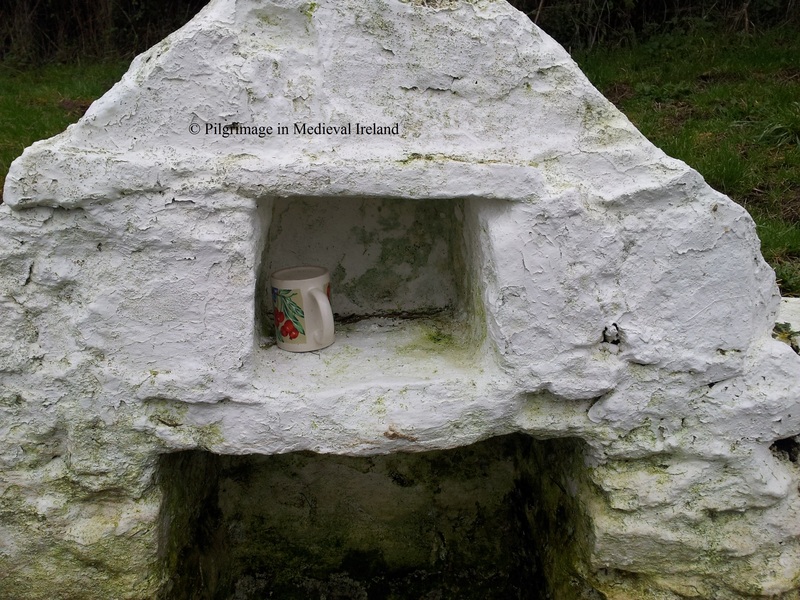 St Declan’s Well at Toor in Co. Waterford, has a special significance for me as my grandmother, who was originally from the area, visited the well throughout her life (even when living in another county). 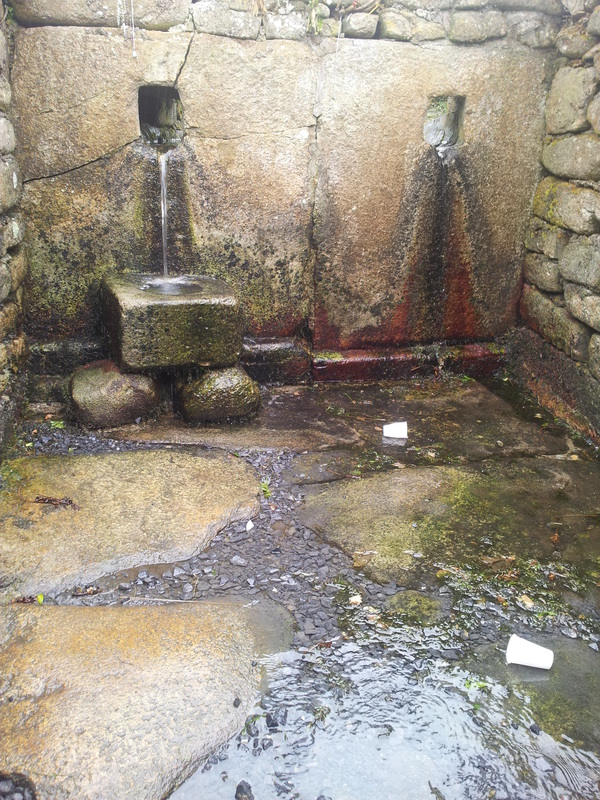 According to folklore St Declan stopped here while en route to Cashel to quenched his thirst and it was this act that blessed the waters (Komen no date). 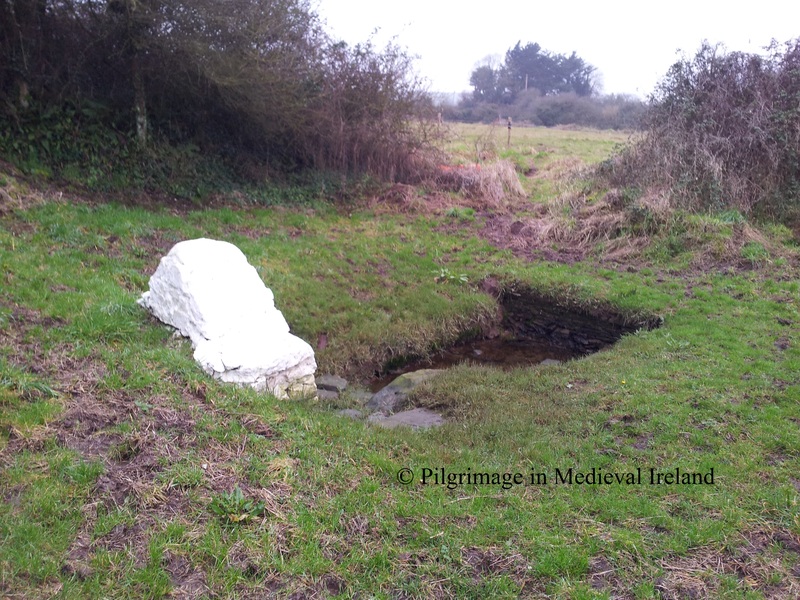 I was unable to find any references to the well prior to the twentieth century, but the dedication to St Declan a pre-patrician saint suggests it is of some antiquity and it may have originally attracted pilgrims only from the local area. The modern landscape of the well is relatively recent. 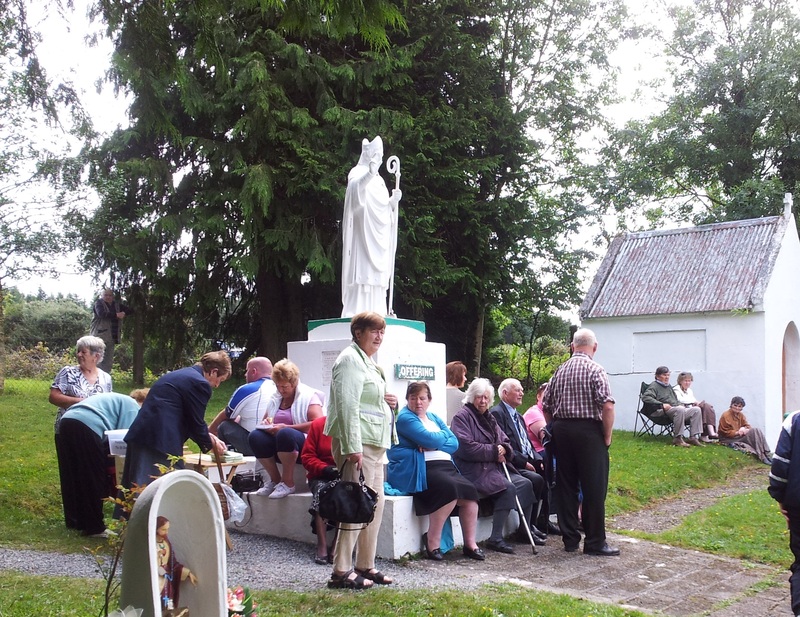 The statues, the structure where mass is said, the outdoor pulpit, are all additions dating to the 1950’s -1960’s. The coniferous plantation which surrounds the well is also modern. 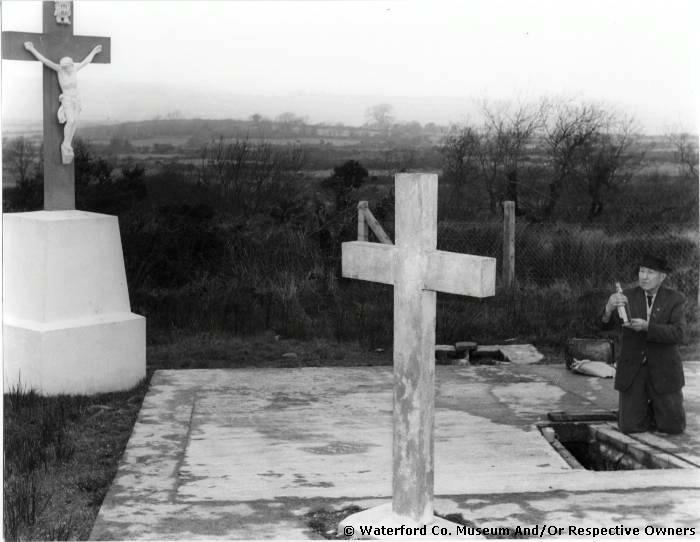 Thanks to the permission of Waterford County Museum I have included a number of photos of what the site was like in the 1950’s which show these changes. 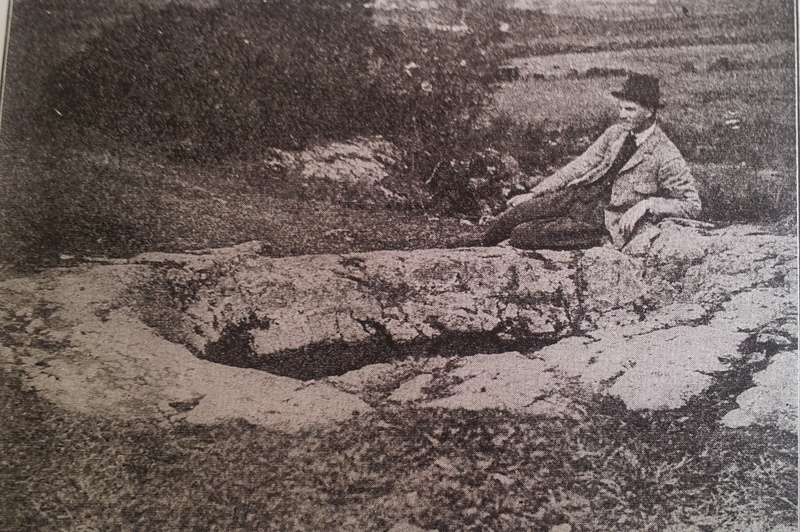 The photo below (Waterford County Museum Archive) shows the well as a deep depression. 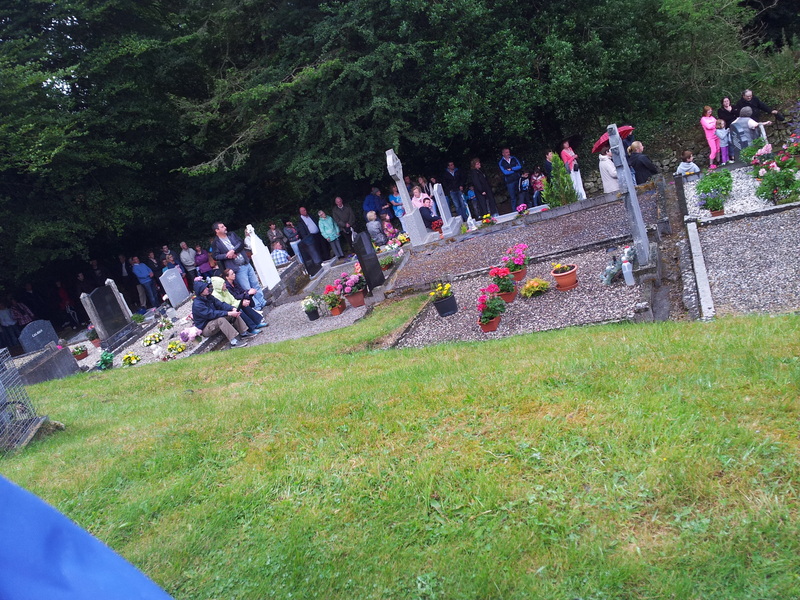 The large cross covered in rosary beads with flowers at the base is still present at the site. In the early 1950’s Josephine Fitzgerald the wife of Jerry Fitzgerald a cycle shop owner from Main Street, Dungarvan was cured at the well. In the subsequent years the couple were involved with others in the up keep and the addition of the statues, new buildings etc. at the site. There are two plaques dedicated to their work at the site. Jerry Fitzgerald, a cycle shop owner from Main Street, Dungarvan at Saint Declan’s Well in Toor. Mr. Fitzgerald was the caretaker of the well for many years. By the 1960’s all the features that are visible at the site today were in place. 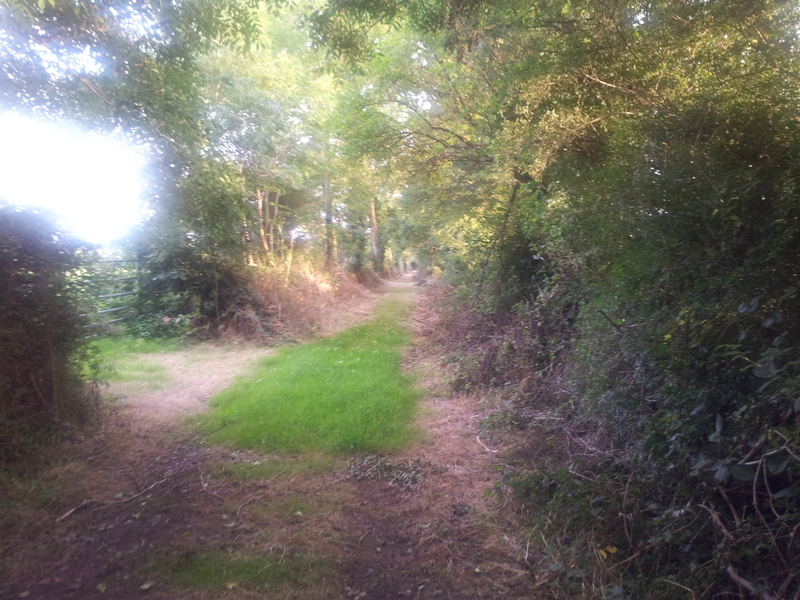 Today the site is enclosed but the older images suggest that prior to the planting of the modern forest, the site was open. A really interesting feature at the site is the addition of a rag tree/bush following the enclosing. 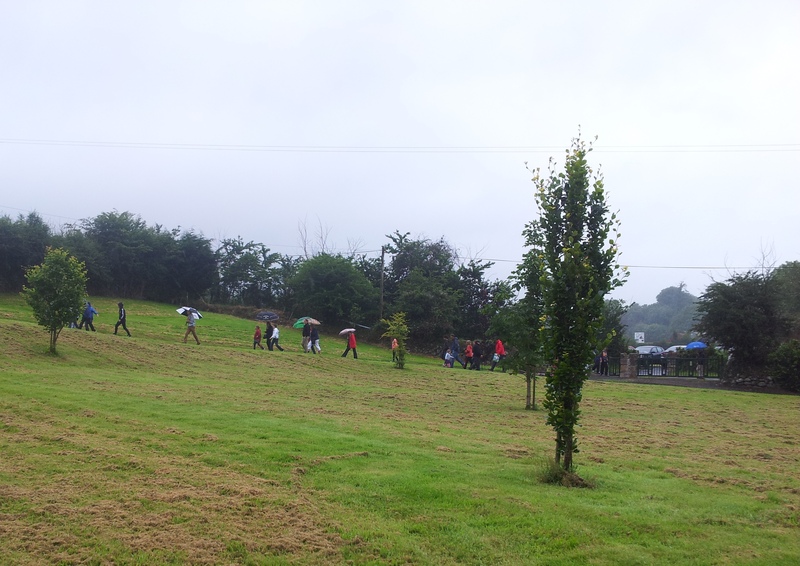 Today pilgrims tie cloths, kitchen towels and rosary beads to the hedge which surrounds the site. 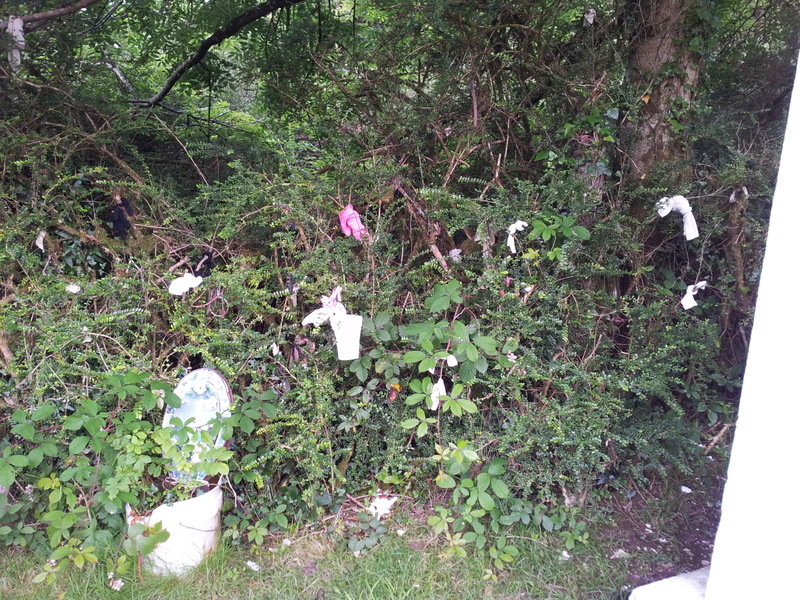 Rags tied to hedge of enclosure around St Declan’s Well. Like many other wells the water here is renowned for its healing powers. 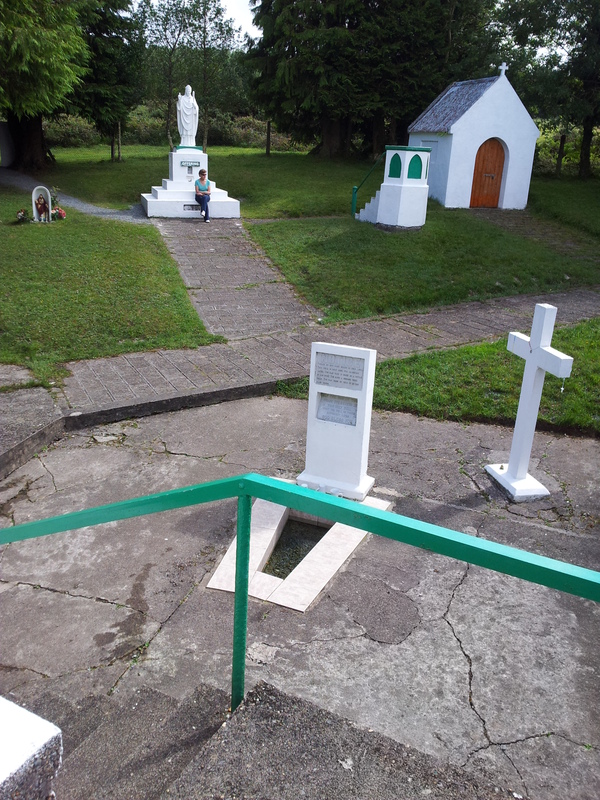 Its reputation is such that people travel here from all over Waterford and neighbouring counties such as Cork, Tipperary and Wexford to pray and to avail of the healing waters. The water is especially beneficial for diseases of the eyes and the skin. Cure for skin diseases, ringworm especially, is attributed to it. 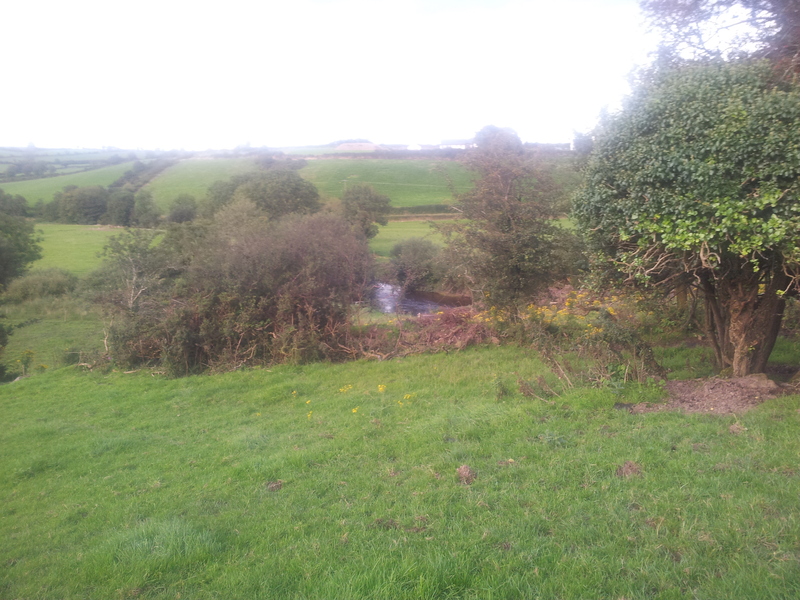 Seán Dower, an old man who lives near the well told me he saw many people come here and bath their lombs etc. which were afflicted with ringworm and exzema in the water, and he afterwards saw them quite cured. I got like information from other sources (I. T. A 1945, 122). Pilgrimages take place here throughout the year. 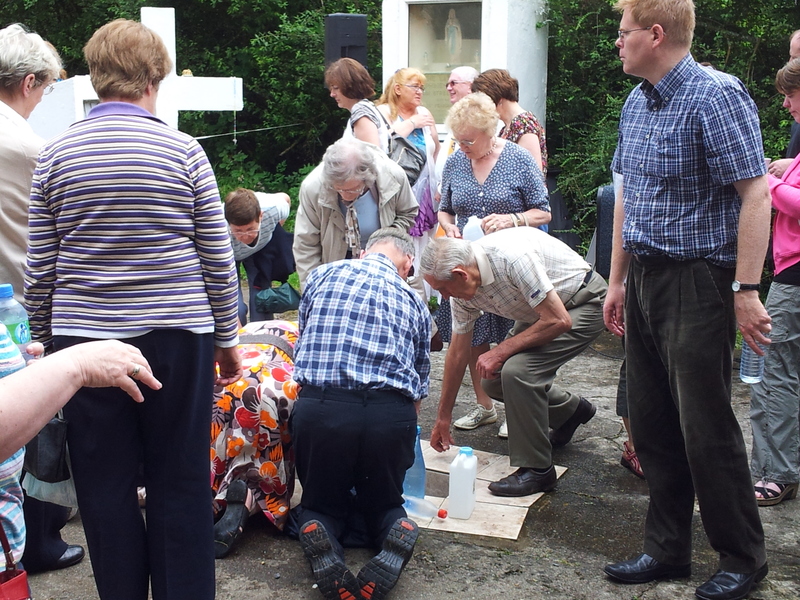 Individuals come to the well, drink the water, do the rounds while reciting the rosary. Many will then wash limbs in a small rectangular trough, located a short distance from the well. For a cure or prayer to be successful it is a requirement to visit the well three times. 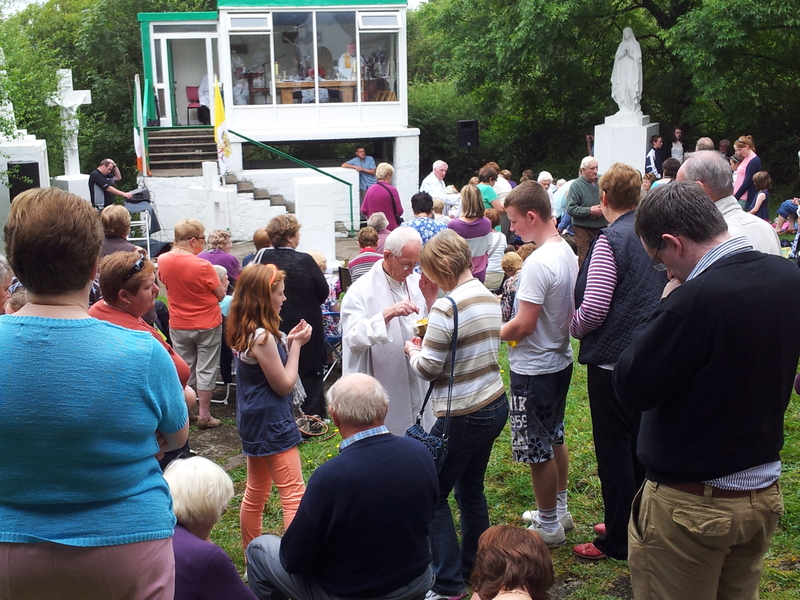 The well is also the site of two annual masses in July and on the 15th of August when, large number of people come to the well for the blessing of the waters and the celebration of mass and the feast of St Declan. 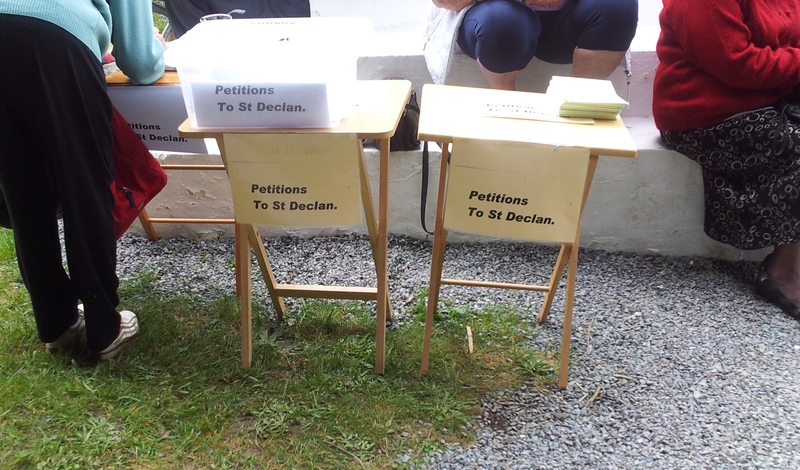 This year I attended the July pilgrimage which is held here on the Thursday closest the feast day of St Declan on the 24th of July. The tradition of mass is relatively new having begun in 1951. While attendance at other wells is in decline, the pilgrimage here is very strong as evident from the large number of numbers of pilgrims young and old who arrived by car and bus. 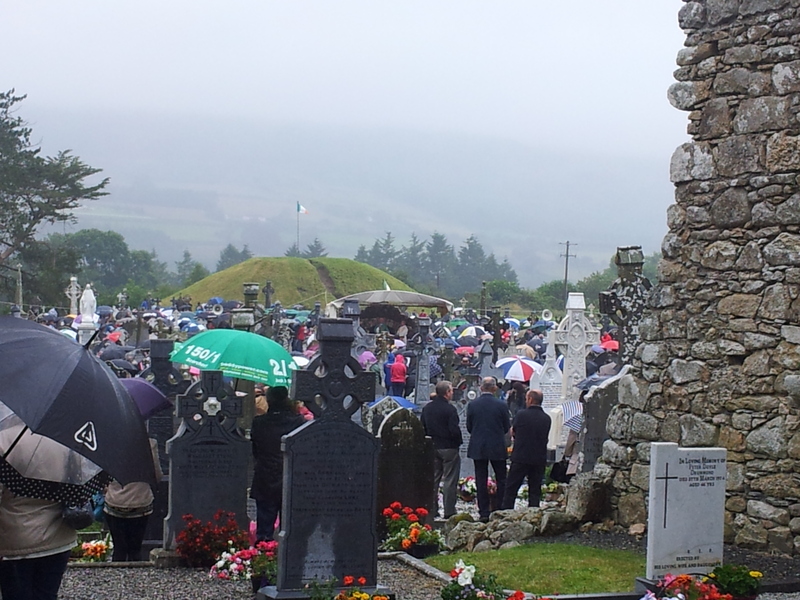 There was a very strong local presence with many people from the neighbouring parishes of Aglish and Clashmore attending. 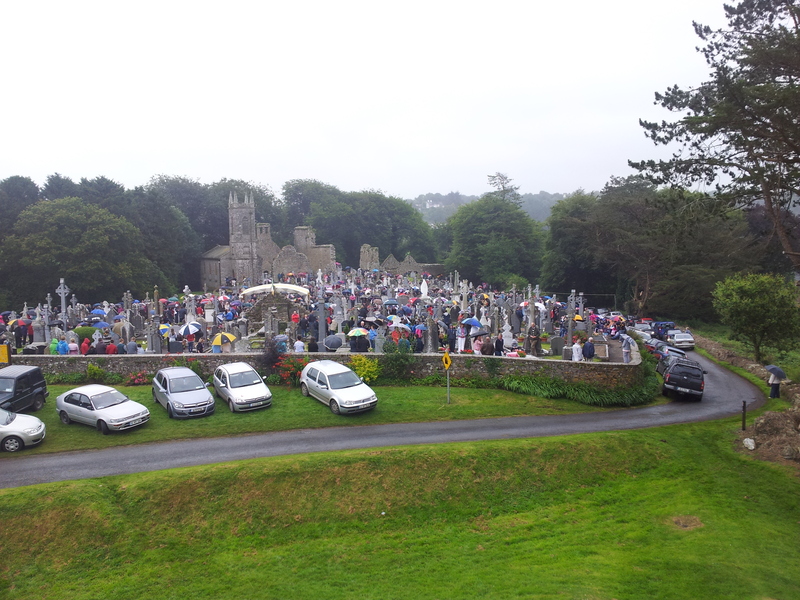 There were many people who had travelled long distances to be here from Waterford City, Wexford and Clonmel. The mass is an important event and 11 priests assisted Fr. Gerry O’Connor the parish priest of , who said the mass. The ceremony began with blessing of the waters of the well and those present, next a box containing petitions to the saint, from those in attendance was carried to the well. This is a new addition to the ceremony at the request of pilgrims the previous year. 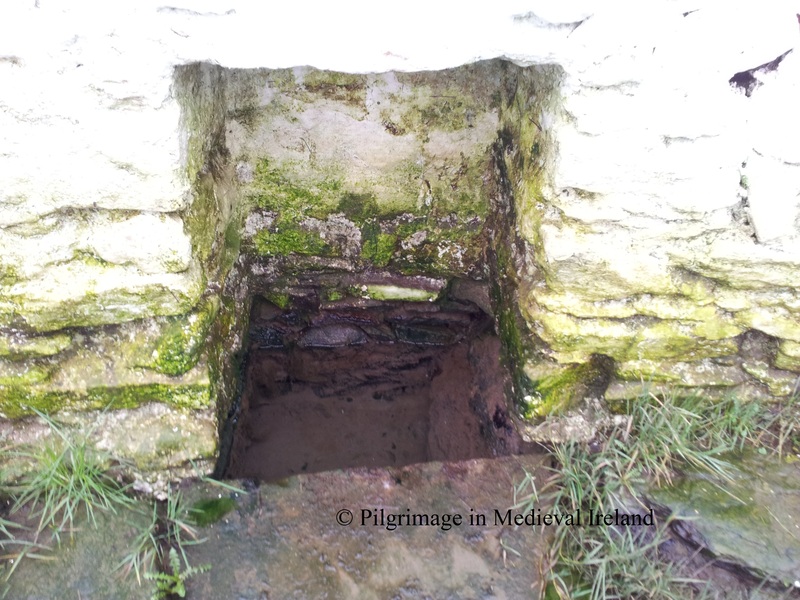 Following mass pilgrims went to the well to drink the water and some when to wash their feet at the trough underneath the structure where mass was said. There is also a real social aspect to the occasion, it’s a chance for people to catch up and talk, afterwards in the field generously provided by the local farmer for parking, many people had picnics out of the booth of their cars. 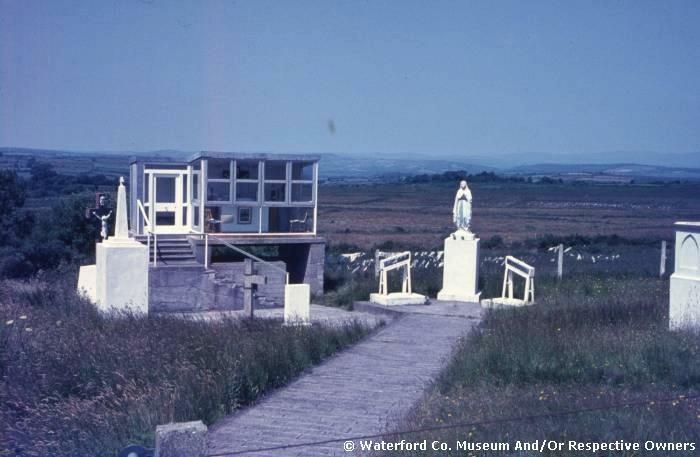 I would like to thank Fr Ger MacCarthy and Fr Pat Butler for information on the well and Waterford County Museum for permission to reproduce their photos. 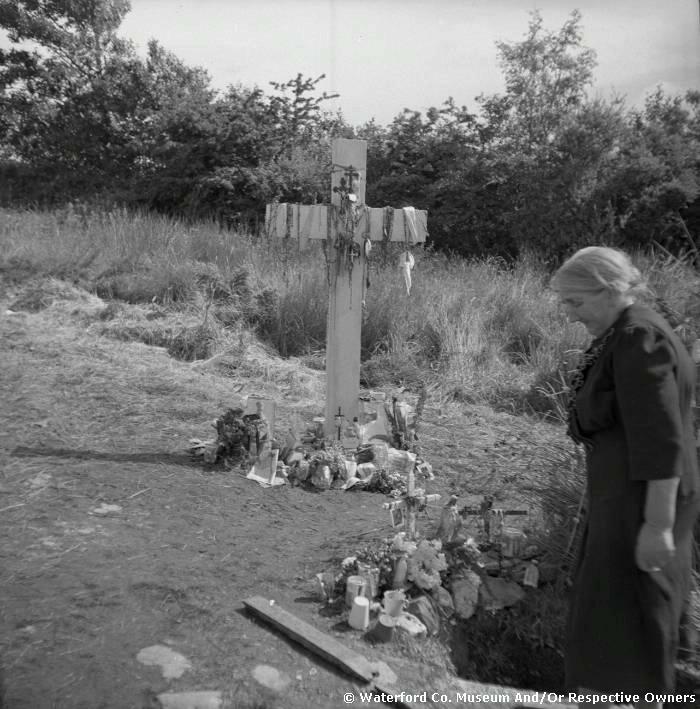 MacNeill (1962) has made a strong case that many pilgrimage that take place on the last sunday of July such as pilgrimage to Mount Brandon Co Kerry, Croagh Patrick Co Mayo and Maumeen Co Galway evolved from the celtic Festival of Lughnasa held in honour of the God Lugh. Another relic of this festival was the collection of billberries also on the same day the last sunday in July. Bilberries are a small blue/black berry that looks very like a blueberrybut are much smaller. They grow in mountainous land. They are known by different names around the country fraughan or the irish frachóg, whorts, hurts or heatherberries. The last sunday of just which is also known by a variety of terms Garland Sunday, Domhnach Crom Dubh (Sunday Black Crom) Domnach na bhFraochóg (Billberry Sunday) as well as Billberry Sunday or Fraughan Sunday. good time picking the berries. In the evening young girls would incorporate the berries into a cake and at the dance that evening present the cake to whatever ‘fella’ they had their eye on. As a child, my cousins my sister and I, would collect these berries which we called hurts as a snack when we played at my grandparents house, unaware of the ‘ Billberry Sunday’ tradition . In the past the berry was used for cooking in medicine and as a dye. 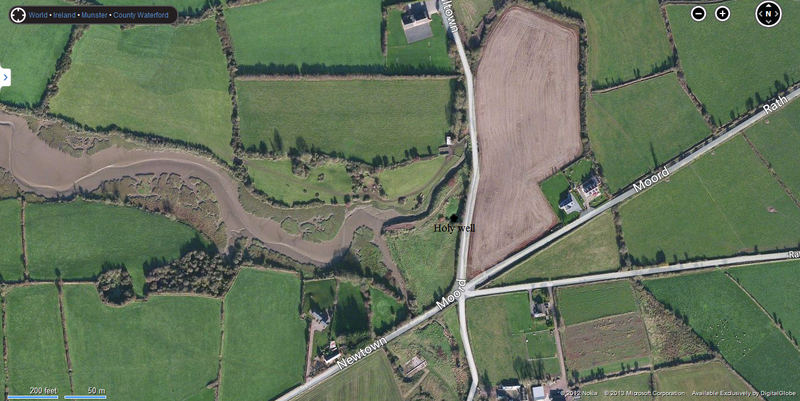 Seeds from the fruit have been found in excavations of Viking and Anglo Norman Dublin. The medieval sources for Ireland also suggest it was a a valuable crop being mentioned in a middle Irish text on the entitlements of kings (Kelly 2000, 307). In 1941 the berries were ‘ Bought and cleaned by local dealers, the berries were shipped off within 24 hours – some 400 tons of them in 1941, an exceptionally good year (when British pilots, reportedly, found bilberry jam improved their night vision)’ (Viney 2012). It is sad that most people dont know what this berry is or what it looks like. This year with the wet summer the crop is very poor, but there are still some yummy berries to be found for the adventurous. Celtic festival of the beginning of harvest. London: Oxford University Press.